Christmas is officially approaching, and with the yule-tide countdown comes nostalgia for this time last year when my friends and I set out on our big New Zealand roadie. Somehow we'd managed to wangle 21 days off over the festive season, a sweet amount of time to venture outside of Wellington and fully explore the heartland. Three friends, two vehicles, three weeks, two islands. The most wonderful time of the year. The sun was hot and the roads were quiet as we left the capital behind us. 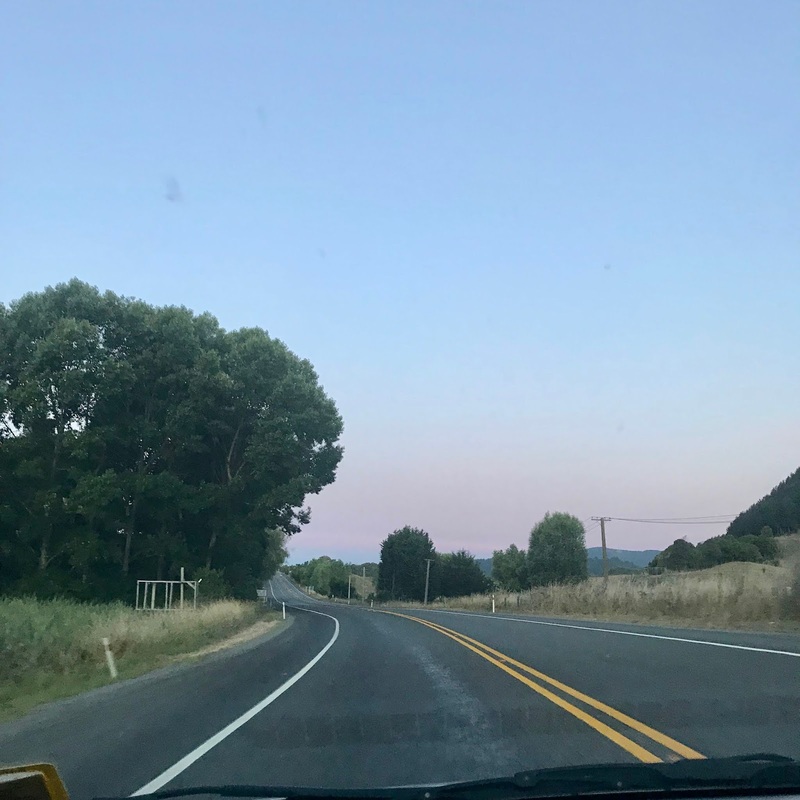 Emily and I had rented a car for the festive week and were headed up to Tauranga in the Bay of Plenty to spend the holidays with our friend’s family. En route, we spent a night in Taupo - well, roughly seven hours (a quick stay in a hostel bunk) - before enjoying a greasy breakfast and heading on to Hobbiton. We goggled at the hobbit holes nestled into the hills and felt befuddled as our guide told us about how Peter Jackson had felt the leaves of a certain tree weren't accurate enough so had requested the crew to transport other leaves from South Korea to take their place – these were then rigorously hand-painted. A lot of effort for such a minor detail, but collectively it blew our minds. Our day in Lord of the Rings territory ended with a warm pint in the Green Dragon Inn, and us feeling bloody chuffed. From Mata Mata, we drove to Tauranga to begin the Kiwiana festivities. What ensued was a blaze of kindness, drunkenness and happiness. We ate, we danced, we drank, we sang, we climbed Mount Maunganui; we felt like we'd found our people. After twenty-five rain-coated Christmases this one was possibly my favourite so far, what with feeling the sunshine on my skin and seeing the flicker of fires each night. I loved it. And just like that, Christmas came to a close. We drove the two or so hours north to the Coromandel to spend the days leading up to New Year camping at another friend's family's farm. I instantly fell in love with this part of New Zealand – a sweet blend of beachy and bohemian with a twist of vibrant greens and blues. Will's farm was unreal too. We spent the morning chatting, drinking tea, and discovering the property before moving around the corner to Coromandel Town. Wild Western architecture and commune chic. Yummy mummies and hippies sat side-by-side sipping almond milk lattes. On our way south of Will's abode, we stopped at a home famously overrun by his pet pigs. These pigs were considered the brethren of the farmer and he guarded them fiercely with his life. His brother was just as eccentric – he was an aura-catcher, employed to remove bad energy from the lives and houses of New Zealanders. We returned to the farm that night and slept soundly under the stars. The next day, we drove even further north to Cathedral Cove and splashed in the water. The heat felt so good on the back of our necks, the sight of the pōhutukawa trees above our heads. Hot Water Beach was another of our destinations. We camped nearby and headed to the sand at night time's low tide to make our own geothermic hot pools. Going there yourself? Get a bucket and spade and dig in. 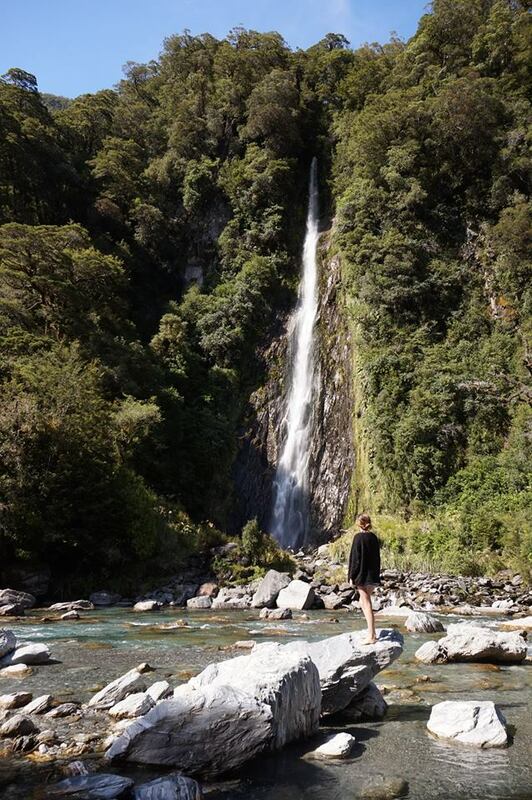 With our North Island trip coming to a close, it was time to bid adieu to the Coromandel. We carried on north up to Auckland to spend the evening reminiscing while drinking rum on a friend's doorstep. The next day we were bound for Christchurch to begin the next chapter: our South Island travels. I'll be posting about part ii of our roadie very shortly. My advice for driving New Zealand? Rent vans and cars way ahead of time to avoid disappointment, especially over such a busy season. In fact, the earlier you book the cheaper your van should be – definitely something to bear in mind.